In south-eastern France, almost right on the Italian border, lies the beautiful resort of La Rosière. Nestled in the Alps of the Savoie region, the resort faces south, making it one of the sunniest ski resorts across the whole mountain range. 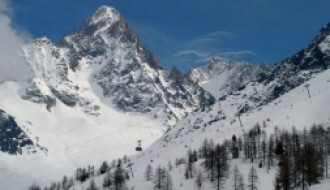 It’s part of the Espace San Bernardo, directly linked to La Thuile in Italy. Breath-taking panoramic views await visitors and investors, and of course, some of the best skiing in the Alps. La Rosière locals are in the 1800 club; that is, they’re set at a height of around 1850 metres, like neighbouring Val d’Isère and Courchevel. Unlike the busy nearby communes, La Rosière enjoys a more peaceful way of life, even at peak times. As well as skiing, there’s pre and post-slope yoga and pilates on offer to protect against injury when on the slopes, and to appeal to those who like their exercise a little less adventurous. While you’re looking for things to do in La Rosière, pop on a pair of snowshoes and just take a walk. There’s some of the most amazing wildlife here, including hares, boar, deer and eagles. Locals know that they can enjoy some peace and quiet in the forest that borders the Chalet Rosière. It’s communally managed, with sparkling streams and hidden picnic spots, perfect for family days out or romantic walks. Nearby Italian resort La Thuile also has plenty of beauty spots, such as the charming Cascate del Rutor, which has excellent mountain walks and mesmerising waterfalls. 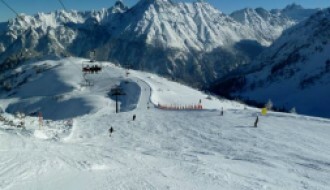 From the annual weather report, La Rosière enjoys temperatures of up to 25 degrees Celsius around July, with enviable amounts of sunshine in the summer months and snowfalls regular enough to keep the slopes fresh and tempting. According to the snow report, La Rosier enjoys a maximum snow depth at the base of the mountain of 80cm, and at the summit, 185cm. The town is renowned for being good value and the slopes have pistes of all difficulties, making it perfect for the whole family. 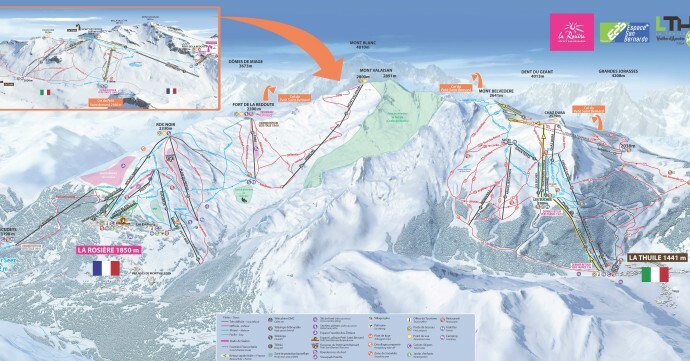 For updated snow and weather reports, take a look at our La Rosière resort guide here. La Rosière shines as so much more than just a ski resort. Live music awaits at bars such as Le Comptoir, where the owner greets regulars with a shot of toffee vodka. Night owls can party until late here. The next day, those who have enjoyed the nightlife a little too much might enjoy a relaxing day at the Roman spa at nearby Terme di Pré Saint Didier, where they can unwind surrounded by mountain views. February sees the arrival of Mardi Gras, a masked carnival suitable for all ages. Then, in April, the Musifoliz festival is a family-friendly event which brings live music to the slopes. La Rosière is clearly uniquely placed, with its ties to both France and Italy. This makes it ideal for investors who may travel Europe-wide, or who simply enjoy the diversity of the different cultures. 2018 saw new developments in La Rosière, including a 1km Fun Cross Track of modules, tunnels, and gongs, designed to make the resort even more family friendly. There's also a new spa, offering unusual treatments and activities such as salt therapy and aqua-biking. Those buying a property in La Rosière might be surprised by the range of homes on offer. Fully furnished four-bedroom apartments sit right by the slopes and one bedroom flats with all the amenities are in beautiful complexes with heated pools. Southern facing properties with balconies overlooking the stunning views of the Alps are particularly desirable and come in a range of options. It’s just a matter of deciding what you want, and how close to the slopes you’d like your new property to be. The nearest airport is Chambéry, which is about a two and a half hour drive away from the resort. There are also transfers from Geneva and Lyon airports, but these can take up to four hours. Alternatively, catch the train to Bourg St Maurice and take a taxi or get picked up for a mere half hour’s drive to La Rosière. 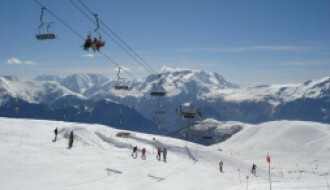 Transport to nearby communes can be through ski lifts, on foot or of course, by skiing.